A: I’m crazy about painting. B: It’s good but can you earn a living from painting? B: I’m a real estate developer. ب: در کار ساخت و ساز هستم. (بساز بفروش هستم). A: How many hours a day do you work? B: I work long hours, usually from 9 A.M up to 8 P.M.
ب: ساعات کارم زیاد است، معمولا از ۹ صبح تا ۸ شب. A: Do you ever work overtime? B: Yes, I work late on Thursdays and Fridays. ب: بله. روزهای پنجشنبه و جمعه اضافه کاری می کنم. A: Do you want to have lunch with me tomorrow? B: I’ll be on duty tomorrow until 4 P.M. but I’ll be off duty in the evening. Let’s have dinner together. ب: فردا تا چهار بعد از ظهر سر خدمت هستم. ولی شب سر خدمت نیستم. بیا شام با هم بخوریم. A: Do you get paid weekly or monthly? B: Neither. I get paid every two weeks. 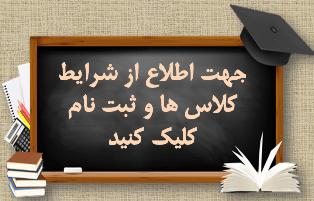 ب: هیچکدام. دو هفته یک بار حقوق میگیرم. A: Are you a permanent employee? B: No, I’m working on a contract. ب: نه، قراردادی کار میکنم. A: Do you get paid on a weekly basis? B: No, I’m working on an hourly basis. I get paid by the hour. ب: نه من ساعتی کار میکنم. 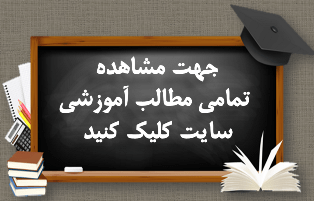 ساعتی حقوق میگیرم. A: Did you ask the boss for a pay raise? B: I did and he promised to give me a pay raise as of the beginning of September. ب: بله و قول داد که از اول سپتامبر به من اضافه حقوق بدهد. A: How many hours do you work? B: I have a nine-to-five job but I prefer to be my own boss. ب: کار از ۹ تا ۵ است ولی ترجیح میدهم رئیس خودم باشم. A: Do you have regular working hours? B: No, I work flextime. ب: نه ساعات کار من شناور است. A: I don’t see Linda these days. Is she on sick leave? B: No, she’s on maternity leave. ب: نه در مرخصی زایمان است. A: I want to take tomorrow off. I want to go fishing. Do you want to come with me? B: Well, I have tomorrow off, too, so let’s go. ب: خوب من هم فردا مرخصی هستم، پس بزن بریم. A: I’m going to take three weeks off and go to Spain on vacation. الف: میخواهم سه هفته مرخصی بگیرم و برای تعطیلات بروم اسپانیا. B: Good for you. I can’t take three weeks off. I only have two weeks off each year. ب: خوش بحالت. من نمی توانم سه هفته مرخصی بگیرم. سالی فقط دو هفته مرخصی دارم. A: I have to go to India on a mission. الف: ماموریت دارم بروم هندوستان. B: How interesting! I was there on an assignment two months ago. ب: چه جالب! من دو ماه پیش برای ماموریت در هند بودم.